Rose City Kickball Classic June 23rd-24th 2018 at Providence Park. 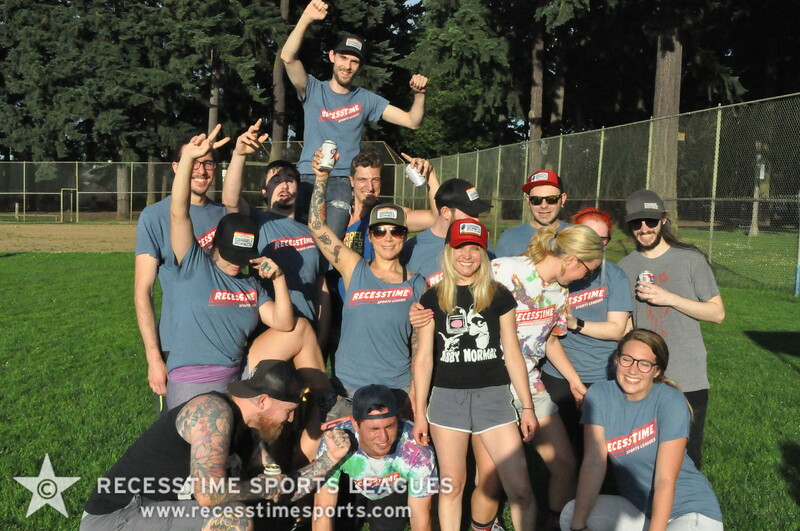 Rose City Kickball Classic presented by the Portland Timbers and Thorns FC and partnering with Recesstime Sports Leagues June 23rd and 24th 2018 at Providence Park. Pick your playground! Slow pitch or fast pitch teams will compete on the most perfect pitch in Portland at Providence Park! Play kickball on the Timbers and Thorns’ home turf! Each squad is guaranteed at least three games in the tournament and each player will also receive a free ticket to the T2 match against the Las Vegas Lights II on July 22nd at Providence Park. A portion of the proceeds benefit Stand Together and Harper’s Playground. RECESSTIME KICKBALL SPRING REGISTRATION OPEN NOW! PICK YOUR PLAYGROUND. SLOW PITCH OR FAST PITCH. CLICK HERE FOR DETAILS AND REGISTRATION. Fall League Kickball Registration Open Now! Summer leagues are still in full effect 5 days a week! Look for summer registration for Kickball, Dodgeball, and Bowling very soon! Sunday Funday returns – Slow and Fast Pitch Kickball Leagues to choose from of varying levels of competition. Pick the playground that suits your skills!